The famous vegan meal kit service Purple Carrot has always been known for the amazing freshness and quality of its ingredients and innovative recipes whose deliciousness compensated for the obvious lack of menu variety. However, like all great meal kit services, Purple Carrot is always looking for ways to improve its service and this time, the changes made to its offer are so huge and positive that we are honestly impressed. Namely, the company has increased the number of recipes on the menu as well as the number of meal plans available. Not only that, but it now allows its customers to customize their orders by mixing and matching the recipes on offer. Here are some more juicy details about Purple Carrot’s new and improved offer. 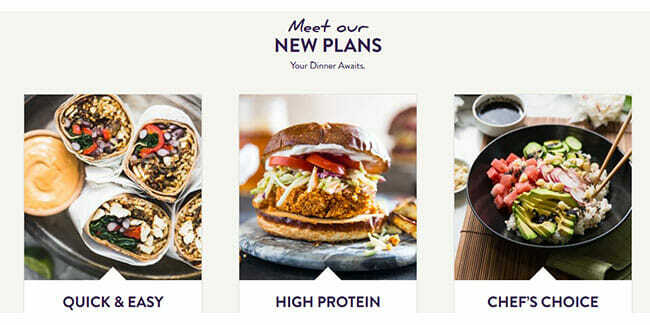 From now on, Purple Carrot patrons will be able to choose from 3 meal plans: Chef’s Choice, Quick & Easy, and High Protein. The Chef’s Choice plan offers gourmet recipes designed with adventurous foodies in mind. The Quick & Easy plan focuses on simple recipes that let you cook a great meal in no more than 30 minutes. Finally, the High Protein plan features protein-rich recipes designed for individuals with active lifestyles who need more energy during the day. All 3 meal plans include 3 recipes per week, each serving 2 people. Although differently designed, the meal plans enable customers to customize their orders and choose anything they like from the weekly menu, which includes 6 new meal ideas every week. In addition to customizing their orders, customers have the chance to switch between meal plans at any time. All the plans come with identical price tags ($12 per plate), so experiencing the full variety of Purple Carrot’s menu does not come at an extra cost. We have often criticized Purple Carrot for the lack of menu variety and customization options and we are glad to see that it has now done everything necessary to go from being great to nearly perfect. If you are familiar with the superior quality of Purple Carrot meal kits but gave up on the service because you prefer choosing your meals yourself, now may be the time to give this lovely company a second shot.